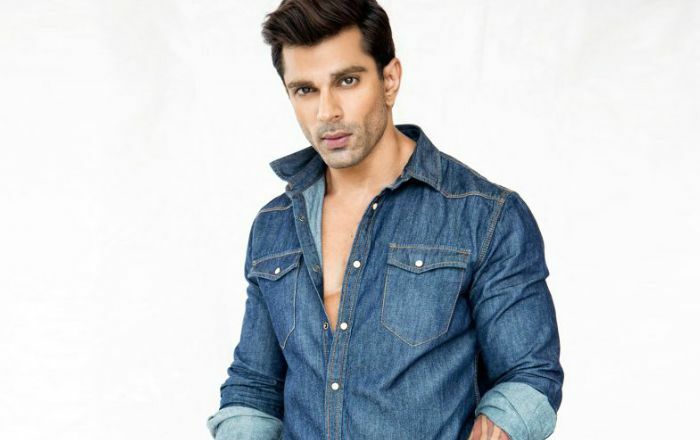 Who is Karan Singh Grover? Indian actor Karan Singh Grover who is best regarded for his work in Hindi television circuit. He became known to the Indian masses for playing Dr. Armaan Mallik on the popular Indian soap opera Dill Mill Gayye. His television credits also include Qubool Hai and Solhah Singaarr as well as he has appeared in films such as Alone and Hate Story 3. He is presently working in Bollywood films. Karan Singh Grover was born on the 23rd of February 1982, in Delhi, India. He’s currently 37 years old. Karan was raised in Dammam, Saudi Arabia where he attended International Indian School of Dammam. After returning to India, he obtained a degree in Hotel Management from Institute of Hotel Management Mumbai, Dadar Catering College. Grover has been married three times. His first marriage was with actress Shraddha Nigam, which happened on 2 December 2008. However, their marriage was short-lived, ending in divorce after ten months. He was then married to Jennifer Winget, his co-star from Dill Mill Gayye from April 2012 to November 2014. He then married Bipasha Basu on 30 April 2016. Karan Singh Grover was first seen in the 2008 Hindi film Bhram, where he played the role of lead character’s friend. His first credit role as a actor was with the film Alone for his role as Kabir in 2015. In 2004, Karan ventured into television scene playing Arnav Deol in MTV India’s soap opera Kitni Mast Hai Zindagi from 2004 to 2005. Beside television series, he has appeared as a host as well as contestant in a number of reality shows including Zara Nachke Dikha, Jhalak Dikhhla Jaa 3, Thank You Maa and Selfie. Achieved nationwide fame and recognition for his starring roles as Armaan Malik in the hit Indian TV series Dill Mill Gayye and his roles in movies like Alone and Hate story 3. Karan has appeared in over a dozen of television advertisements including Rupa Frontline, Cleartrip.com, Indian Gem and Jewellery and Kajaria Tiles. He is the brand ambassador of designer Rocky S’s signature Brand RS along with Bipasha Basu and UM Motorcycles. He has a total net worth of $3 million. He charges Rs 80,000 per episode for his work in TV series. He owns an Audi Q7. He was brought up in Saudi Arabia throughout his teens where he completed his school studies and returned to India for higher education. After graduation, he briefly worked as a banquet executive in Sheraton Hotel, Oman. He used to be a member of the musical band, “Thousand Decibels” during his college years. Karan has over 10 tattoos inked on his body. He is called as Salman Khan of television. Karan has received many awards like Most Promising Actor in 2007, Best Onscreen Couple in 2008, Most Fit Actor (Male) in 2010 for his acting role in television series. In 2018, he walked the ramp for famous designer’s collection at the Lakme Fashion Week. He’s not religious but spiritual. Grover will be seen in Firrkie and Ekta Kapoor’s/ Alt Balaji’s web series Judaai.